I had been on vacation with my friends and family tour, When I came back I didn’t have option to show all the images to all my friends. Yeah I know we have lots of websites which offer you free upload of images and allow you to view them, but the toughest part was to upload all these images one after the other, that was really a pain. I am sure most of you would have experienced the same with flickr or other website which offer you this service. Google seems to understand the users expectation all the time. The users pain. I had picasa installed already on my machine, After I got the invite they presented an update on Picasa, felt do I really need to update my Picasa. After I did, it was a wonderful experience. As I too work on a product Opmanager as the User Interface Designer, I find really find the user experience approach of google to be amusing. 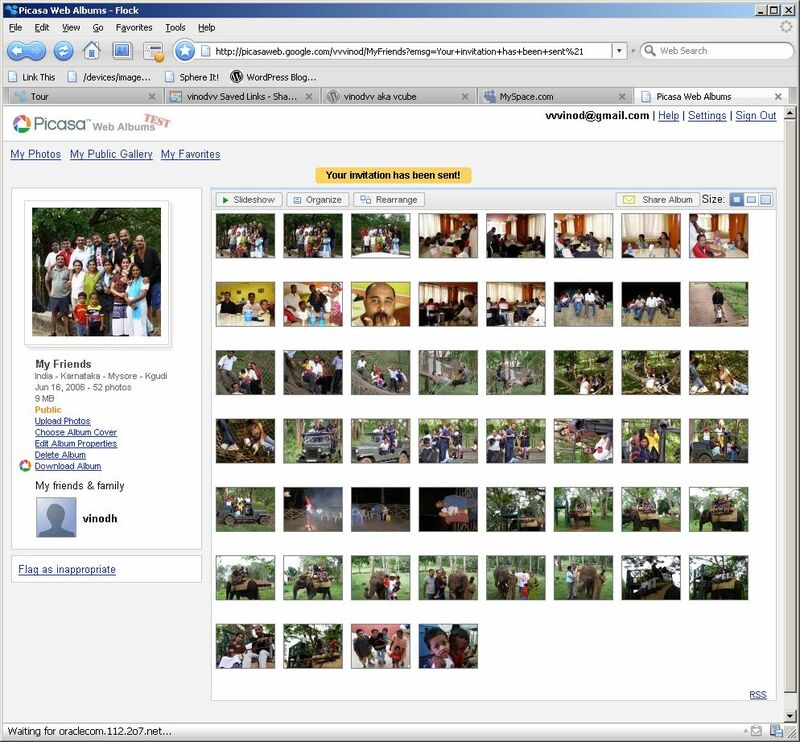 The minute you login to the destop version of picasa and configure the google online account with picasa you are done. Well I forgot to tell you one thing, I was able to Blog about a photo of mine right inside the Picasa desktop client. Next: Next post: Tails – Effortless bugtracking.